When it’s time to change your windshield wiper blades, you have a couple of options. You can have them replaced when you take your car in for its next oil change. You’ll pay more for the service than if you replace them yourself, but if you want to avoid the hassle of choosing and installing windshield wiper blades, this is the 100% worry free way to go. Replace your blades yourself. It’s pretty easy, and lots of people do it every day. If you decide to save a couple of bucks by changing your own wiper blades, here are a couple of tips. You should inspect your wipers at the change of every season. 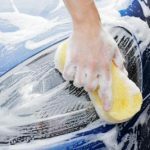 Look for streaking on the windshield and cracking, bending or splitting of the rubber on the blade. Even if they look fine, you should still install new windshield wiper blades in the fall when you’re preparing your car for winter. You’re standing in the store, surrounded by all kinds of windshield wiper blades. Each claims to be the ultimate, the longest lasting, the best choice in extreme weather, made of the toughest – or most flexible – material to better withstand the elements or more closely hug your windshield. Their brightly colored packages blare information and exciting-sounding promises, all of which sound like things you want. It can be overwhelming. The good news? This is the most complicated part of the windshield wiper replacement process. Want more good news? There are actually only a few things you need to know or decide on in order to select the blades you want. First off, are you replacing the whole wiper blade assembly (the rubber part and its plastic housing) or just refilling the wiper blade (the rubber part only)? More than likely, you’re replacing the whole assembly. In fact, nowadays you typically have to special order wiper blade refills: it’s so much simpler to just replace the whole assembly that most stores don’t sell enough refills to justify keeping them in stock. What size do you need? You can either look in your car manual to see what the manufacturer says or pull out a tape measure and measure your old blades. 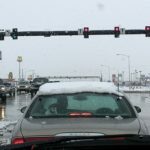 Be sure to measure both however (or all three, if you have a wiper on your back window too), since some newer cars have different size blades on the driver and passenger side. You also have options regarding type of blade material, tension dispersion and aerodynamics of the blade assembly, as well as different designs for different kinds of inclement weather. But in most cases you’re not likely to notice much difference in performance, so don’t stress out about these choices too much. And don’t break the bank over them either. You may want to consider “winter blades” if you live in a colder climate, since they have an additional housing that protects the blade from ice and snow buildup. And it’s true that the less you spend on your windshield wiper blades, the more quickly they’ll wear out, but everyone seems to have a different opinion about where the sweet spot falls in the spectrum of value versus quality regarding that topic. 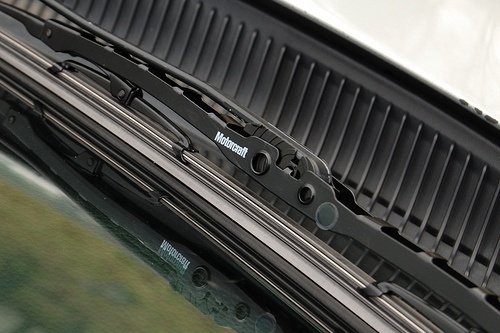 Replacing your windshield wiper blades – easier than 1-2-3! Most blade assemblies come with an adapter so they’ll fit the arms of most makes and models of vehicle. Press the release mechanism on your old wipers and pull or push them off the arm. Then you literally pop your new blades on and voila! You’ve just changed your own wiper blades! Special thanks to guest blogger Chad Arthur for this excellent advice! Be sure to check out Chad’s website SR22Insurance.net, which helps people who have a get the best rates on SR-22 insurance policies. If you don’t know what an SR-22 policy is, you can learn about them here. 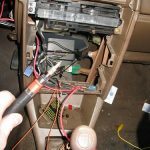 Ask AAA – Why Do I Have To Replace The Compressor AND The Condenser In My A/C System?